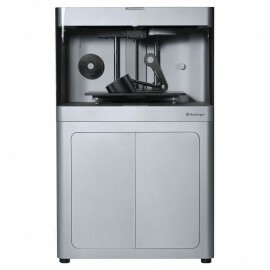 Professional 3D printer with a printing surface of 700 x 350 x 300 mm. 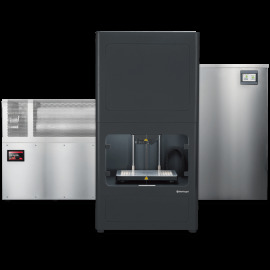 The QXXL is the 3D printer with the largest print surface (700x350x300 mm) offered by Sharebot, and one of the largest in professional 3D printers. 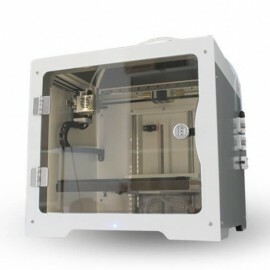 This Sharebot 3D printer ships completely assembled and is Plug & Play!, that is, it is only necessary to unpack it, remove the protection elements, place the printing base, load the filament and start printing in 3D. 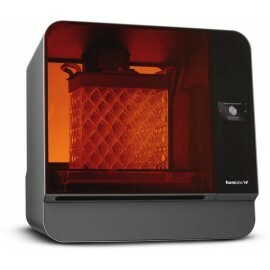 It has a 5'' touch screen in which the user can manage their own impressions. 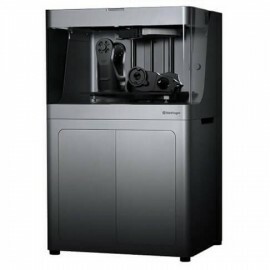 In addition, Sharebot QXXL uses its own interface, from which you can act on the 3D printer with great ease and modify the printing parameters during the manufacture of a piece. 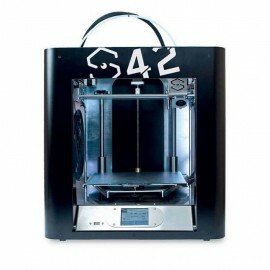 The manufacturing platform in carbon fiber allows to make many prints and operate on it with total security, this being one of its main novelties, as well as advances in user experience such as wireless connectivity and remote management through a web interface Suitable for PC, Tablet and Smartphone. 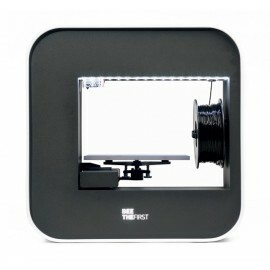 It also incorporates a video camera with internet connection for the user to follow the process of online printing. 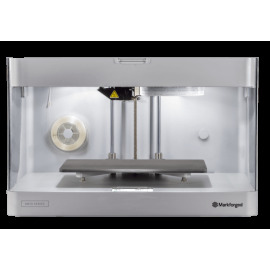 The Sharebot QXXL 3D printer also incorporates an automatic auto-calibration system that adjusts the printing base every time a new project is started. 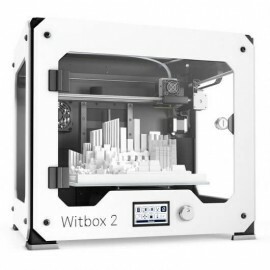 The extruder incorporates a filament sensor that paralyzes the print if the filament of the coil runs out or if the 3D printer suffers some kind of problem. 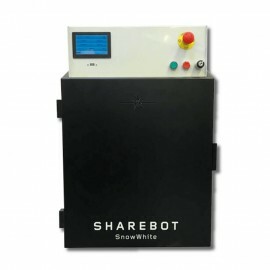 In addition, Sharebot QXXL has a double feed system of the extruder (direct and bowden sistem) that facilitates the drag of the filament and improves the extrusion. 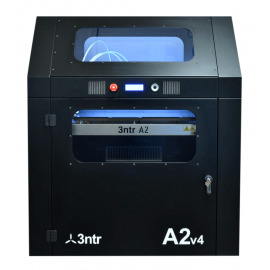 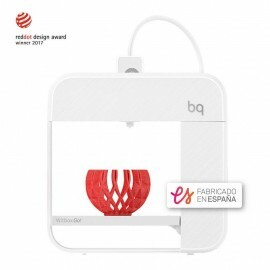 This 3D printer allows the nozzles to be easily exchanged (0,4 mm / 0,8 mm) according to the type of material and piece to be made, thus making it possible to adapt the size of the nozzle to the needs of the user. 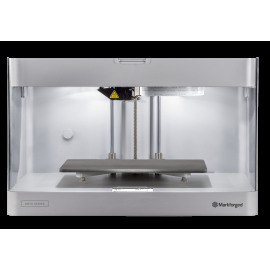 On the other hand, its printing volume is 700x350x300 mm and the maximum printing speed is 24 mm3/s with a layer thickness of 0.2 mm (Maximum printing resolution). 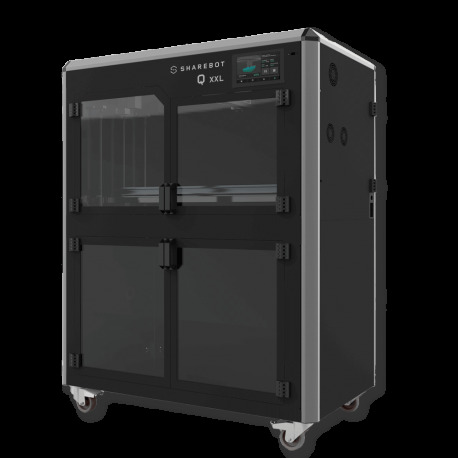 Sharebot QXXL has an integrated system with two boxes for the coils: one for coils of 750g on its left side and another for coils of 2.2 kg that is located on the bottom of the printer (below the printing base). 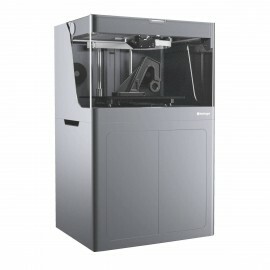 The size of the 3D Sharebot QXXL printer is 110x63x135 cm. 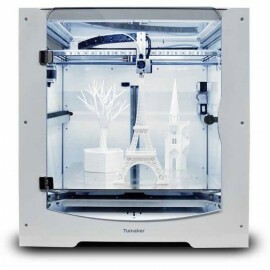 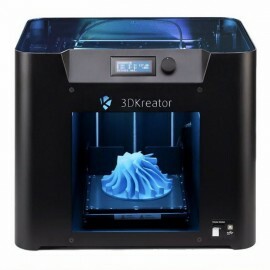 It is a 3D printer that reaches up to 260 ºC of extrusion and up to 90 ºC of bed. 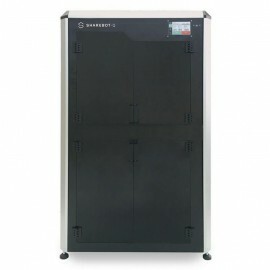 The delivery time from the confirmation of the order can range between 2 and 5 weeks.